David Oreck founded the Oreck Corporation in the United States in 1963. The company’s principal manufacturing facilities are in Cookeville, TN. 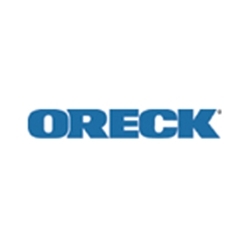 Oreck Corporation began as a company manufacturing upright vacuum cleaners for the hotel industry in the U.S. The concept was to design a lightweight yet powerful and durable vacuum that hotel housekeepers would prefer to the very heavy models available to them. The idea proved so successful that now over 50,000 hotels throughout the world use Oreck vacuums. After a short time, hotel personnel asked to buy the machines for their own use, which gave the Oreck Corporation the idea to sell its unique products to the general public. Vacshack.com offers you only Genuine Oreck supplies and parts. All our products have been hand selected for their quality reliability and performance, including high standards of filtration.